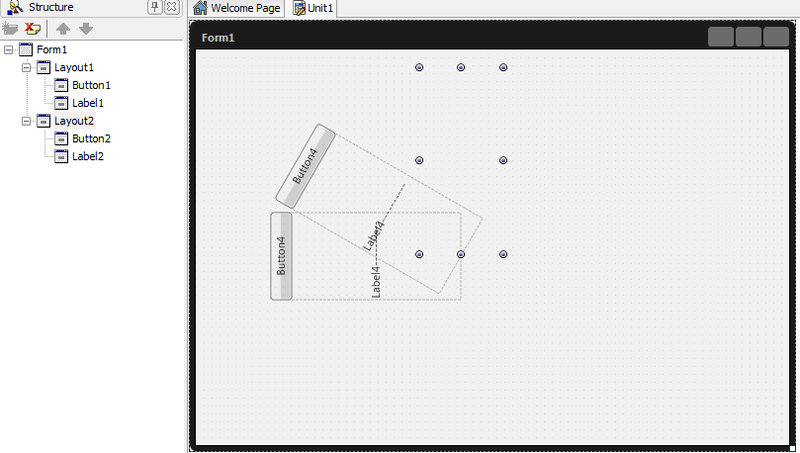 This tutorial is part of the RAD Studio XE3 online documentation. Links in the article go to the Embarcadero Doc Wiki. 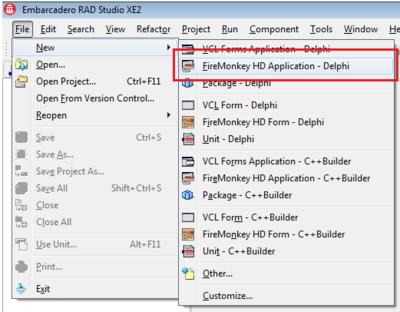 To follow along with these steps, you can buy or download a trial of an Embarcadero developer tool with FireMonkey including Delphi, C++Builder and RAD Studio. 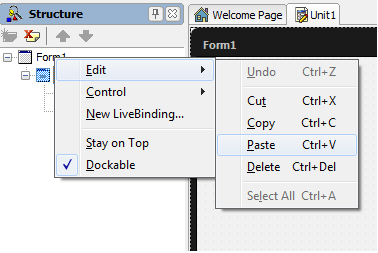 Add a TLayout to the form. 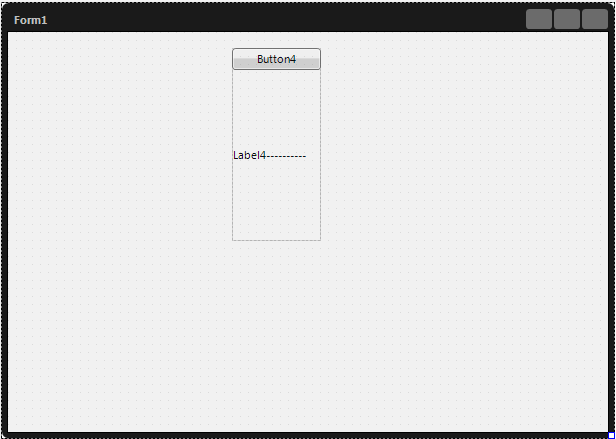 For the button, set Align to alMostTop. 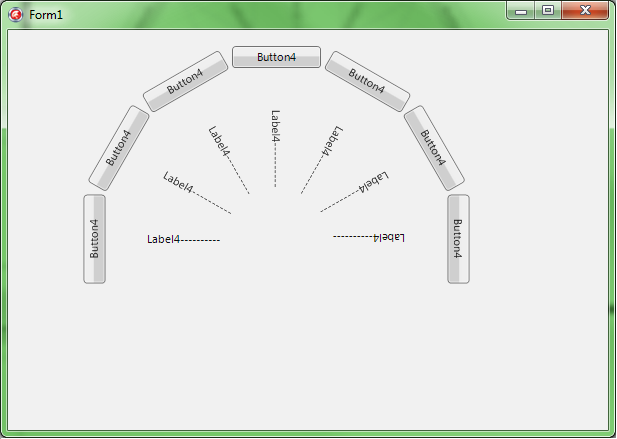 For the label, set Align to alVertCenter. 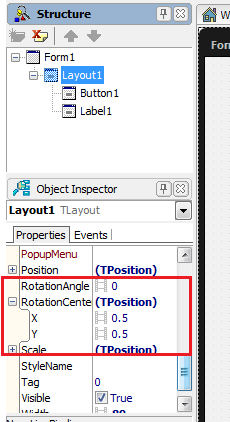 For the layout, move the rotation center point in the middle of the bottom edge by setting the RotationCenter.X to 0.5, and RotationCenter.Y, to 1. 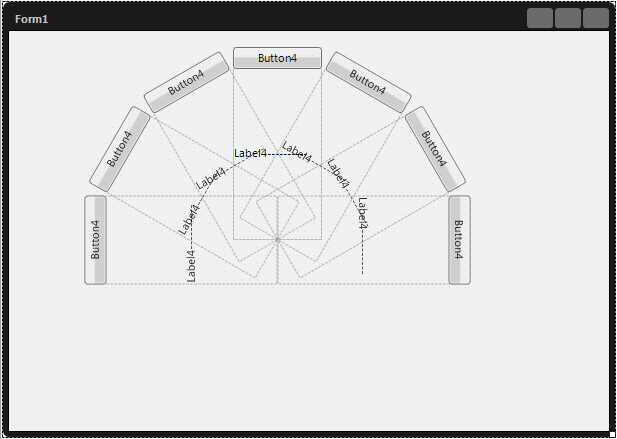 Rotate the layout by setting the RotationAngle to -90. 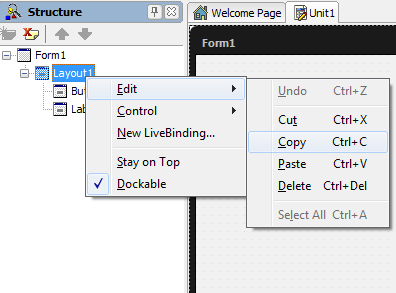 In the Structure View, right-click the layout and follow the steps in the images below to copy and paste the layout on the form. 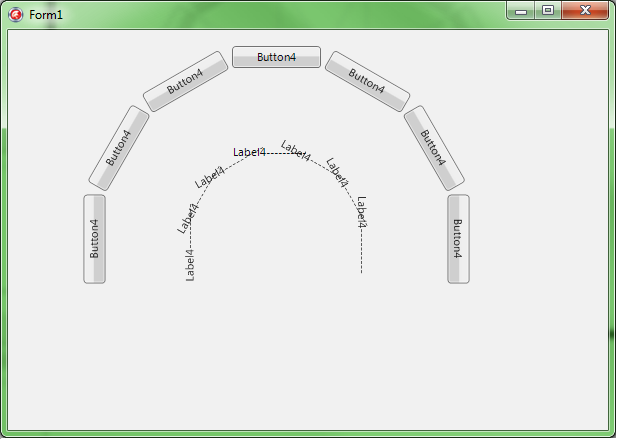 Rotate the second layout by setting the RotationAngle to -60. Continue copying and pasting the last modified layout, and change its RotationAngle with a value with 30 grades higher than the previous layout, until you reach aRotationAngle of 90.